How do I know if my oil tank requires remediation? Removing an Underground Oil Tank or dealing with a Leaking Underground Oil Tank (UST) is a once in a lifetime occurrence for the small group of people who have to undertake this project. Of those individuals, 9 times out of 10 even their friends probably have never had a tank removed. Leaving just the few unlucky homeowners with a project that if evidence of an oil leak is found from the tank, it can quickly escalate the cost of the project. Homeowners with no knowledge or experience in oil tank leaks or network of friends who have experience in this type of project are forced to rely on the integrity of the firm that removed the oil tank.Here at Curren, we constantly receive calls from homeowners who had an oil tank removed for a somewhat loss leader price of between $1,000 and $1,500. In short the company chosen to remove the tank was the lowest cost. After the tank is removed the homeowner is told that the tank leaked and remediation is needed. Usually a day or a week after tank removal, a proposal is presented for remediation, which typically is priced between $8,000.00 and $15,000.00. 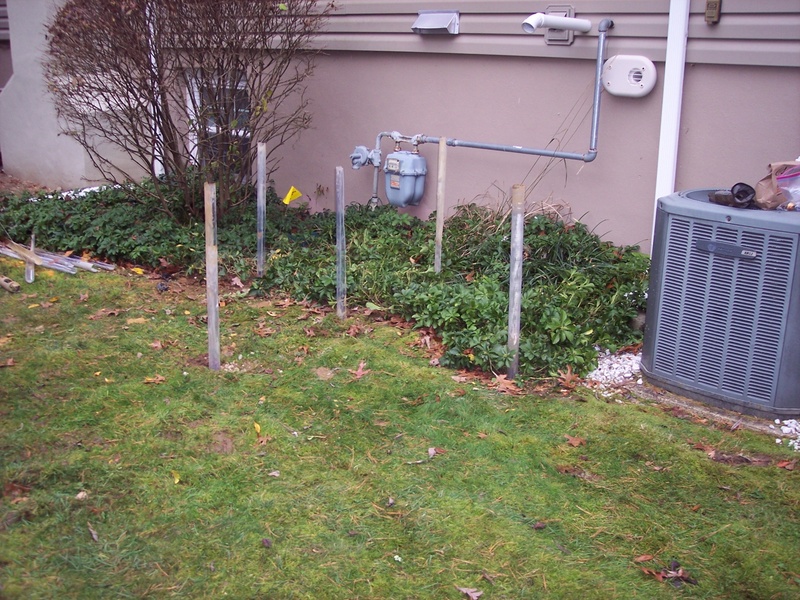 The Homeowner contacts Curren to provide a competitive price to remediate as they were not expecting such an expense and want to compare costs, like they did for the tank removal. Being professionals we request the diagnostic or delineation laboratory testing from the tank area so we know (1) the concentration of oil in the ground is above 5100 ppm for EPH so remediation is required and (2) the extent of the oil leak (depth and length and width of the area) has been defined or delineated as is common industry parlance. What do we hear when we ask for hard empirical evidence, documentation that a homeowner should receive from the tank removal company? No soil testing was done it was not in your contract. Lab testing is a waste of money. The company just knows because they have been doing this for a long time. It was a small leak as evidenced by the holes in the tank. My sniff meter (PID) says it is bad. What all those responses really mean are “We didn’t want to waste your $120.00 to do a test and find out you really don’t have much of a problem. We thought it was in our best interest, not yours to just say the leak is bad and give you an expensive quote to remediate and in all honesty, we do not even know if you need remediation. How could we know if we didn't test? Would a doctor put you on a cholesterol lowering statin without getting blood work completed to see if your cholesterol is high? Now if we cared and if we did test the soil and find out the levels are below 5100 ppm (which is a fair amount of oil) you probably would not need to remediate and we would not make as much money." The field meter they use to tell you there is oil in the ground. There is no government standard for what the meter tells you. It is more for presence or absence of oil. There is NO correlation as to what registers on the meter in the field and what the actual laboratory result would be. Heck they could put the meter on your neck and if you had cologne or perfume on the meter would light up, doesnt mean your contaminated, just aromatic. 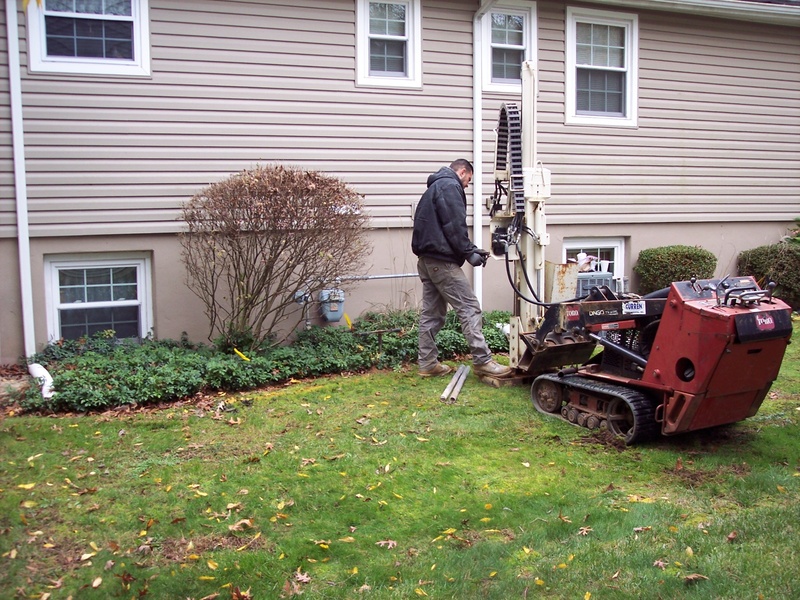 Drilling through the middle of the excavation and obtain soil samples to determine at what depth the oil tank leak stopped migrating vertically. Repeating this step on each of the four sides of the removed tank excavation to determine how far the oil has spread to the north, south, east and west. This is called delineation. Look at it in perspective, god forbid you are diagnosed with cancer, you will not undergo treatment or surgery until testing is done to define the extent of the cancer right? When the leak occurred (number of days or years). Rate of oil leak (per day amount is most helpful). Amount of oil that leaked. Amount of rain that occurred during the leak period. The porosity of the soils where the tank is located. With these nuggets of information, you can model APPROXIMATELY the extent to which the oil has migrated. In any event, unless you have the information in items 1 thru 5, how can you model the leak range? The answer is you cannot. You can guess, but who wants to rely on a guess? We know you want answers right away when you are told your tank leaks, but you have to look at things in perspective and realize that without proper evaluation you cannot be accurate. Let us circle back to your original tank removal project. Expensive but not too bad at $1,000 to $1,500 on average is an expense most people can begrudgingly swing, particularly if it allows them to sell their house. We often times call low ball tank removing pricing a Loss Leader (think cheap price per pound for turkeys at Thanksgiving to get you in the store) or hooking, to get people to buy the service or get on the hook so that the bigger project/expense (remediation) can be obtained. Take a look at the contract, does it include. Why you would want to take soil samples if the tank is found to be leaking? What soil sample results mean in relation to NJDEP regulations. 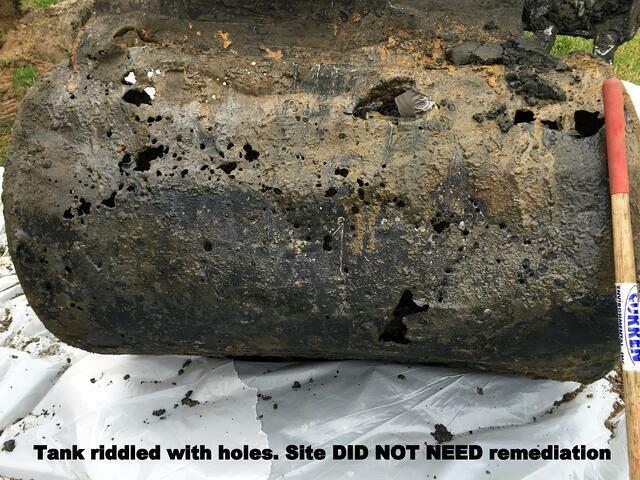 A report that is supplied after tank removal to document the work and certify whether it did or did not leak? If you do not have any of these four items and I can tell you from experience, 90% of the consumer contracts Curren reviews do not. The homeowner who signs these contracts is potentially being led down a slippery, costly slope. We often times see the next step after the owner gets their tank removed is an expensive contract to remediate, that is based on zero scientific data. The most alarming of all this, is that on sites where Curren is brought in to investigate a reported tank leak, 80% of the time and let me say that again 80% of the time, the tank area DOES NOT REQUIRE remediation. I stress this as a professional organization we acquire and review data, interpret the information and provide opinions based on our review of the factual information. 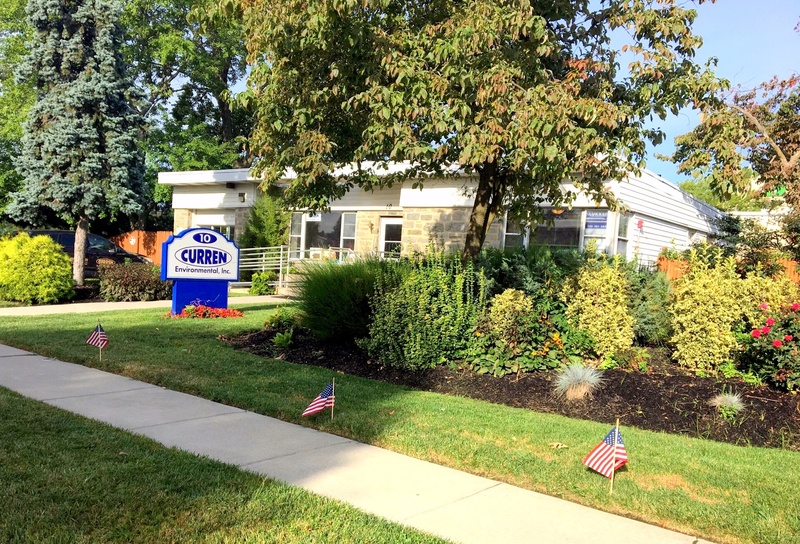 In full disclosure Curren, removes oil tanks, tests tank areas and performs remediations. Of these three services, remediation is always the most expensive, so although we are happy to remove oil tanks and test tank areas, we are equally willing to remediate oil tank leaks IF IT IS WARRANTED, if there is a driver, meaning oil in the ground above permissible limits. The NJDEP allows a certain amount of oil in the ground, did the tank removal tell you that, in writing, verbally, probably not. The point here is that oil tank removal and remediation of oil tank leaks (when warranted) are projects where homeowners must go into with eyes wide open. From our experience, there is a large pool of firms that do not properly manage the exceptions of homeowners and rush these homeowners into costly remediations that are not warranted. Yes, we know often times you are removing a tank due to a pending real estate transaction, and everything is time sensitive, but that is not an excuse to make a bad decision. No matter where you are in the tank removal project (pre removal, post removal, possibly remediation, if you want facts, solid professional advice? What you have just read is what we tell homeowners repeatedly, as they feel like the firm they are talking to or have contracted with is not working in their best interest.